Body Transformation: Laugh At Me Now! He was teased for benching 95 pounds as a freshman in high school. Then Bilal was steered to Bodybuilding.com. That combination sparked this incredible transformation! Ever since I was a young boy, my parents always spoiled me with a scoops of sugars and saturated fats. To add to the madness, they never really encouraged me to play sports or to be athletic. By seventh grade I was a whopping 190 pounds! 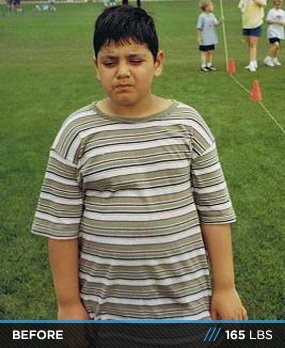 I was teased throughout my entire childhood and it seemed as if I would never catch a break because of my weight. Through harassment and teasing, I went on to become anorexic and started starving myself. By my freshmen year of high school, I was a scrawny little boy whose ribcage stuck out. Even though I wasn't fat anymore I still received harassment for how weak and scrawny I had become. I was on the high school basketball team my freshmen year and our workouts were light and easy. My mother was diagnosed with breast cancer around this time and I made an attempt to work out in order to relieve stress and tension. I remember not being able to complete 12 push-ups in a row. 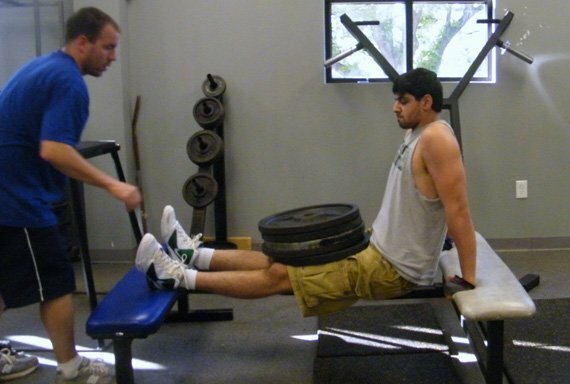 When it came to measuring our bench press in off-season in front of everyone, I could only put up an embarrassing 95 pounds. I remember being ridiculed that day by the kids and the coach for how weak I was. I was tired of never feeling satisfied or happy with my physical condition and I was tired of the harassment I received basically my whole childhood for never having what was considered a normal body. I was either too skinny or too fat. Along with that, my mother's breast cancer development was sending me into constant moods of depression. I decided there had to be a way to make me happy with my body and myself because I had never experienced the feeling. From that day on, I vowed to do whatever it took to get stronger and bigger. Bilal's transformation served as inspiration for his entire family. Entering my sophomore year in high school, I started a rigorous off-season lifting regimen and slowly became more and more satisfied with my body. I was able to bring up my bench press up to 150 pounds in just a couple of months! But at the end of the day, I was just another average athlete. I wanted more and I wanted to stand out. Then I met some distant cousins of mine at a family reunion and they were jacked! I knew immediately that I wanted to look just like them. They referred me to Bodybuilding.com and gave me a list of supplements they believed were the best. 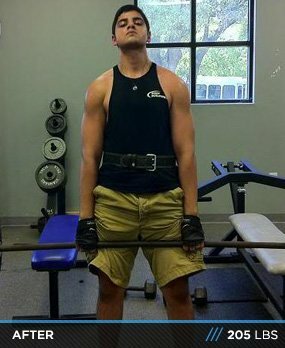 Through Bodybuilding.com, I was able to find various routines, eating regimens, and lifting programs, along with tips and advice on how to get bigger and more cut. Beyond that, Bodybuilding.com served as my single supplement source. I ordered more and more supplements from the site and I just got bigger and bigger! Now, I weigh 205 pounds and finally have the feeling of satisfaction that I had longed for since I was a small chubby boy! Bodybuilding changed my life for the better in so many ways. Bodybuilding gave Bilal the confidence to dominate in every aspect of life. Bodybuilding provided me with an outlet to release my stress and emotions as opposed to me taking on drugs and other substances. Bodybuilding also, believe it or not, was the cause for my grades to go from B's and C's to A's and B's. The results I got were satisfactory and extremely visible. I thought if I just applied the same mentality in the classroom, then I could achieve the same results. I did exactly that by getting a plethora of awards and making the honor roll. Bodybuilding also took my social life to another level. I made more friends and talked to more girls in a 1-year span than I had in my entire lifetime. I wouldn't be where I am without the support of my father, Afzal Siddiq, and my beloved mother, Gazala Siddiq, who comforted me in my time of need. I also want to thank my high school lifting/basketball coaches, Will Curtis and Ben Basden, and Katherine Howard for sticking with me and being there for me the past couple of years. They all helped me to become what I am today, and for that I am forever in debt to them. On off days between my main workouts I do a minimum of 250 rep ab work consisting of everything from crunches to planks. I alternate the two week by week. Results do not come in one day! 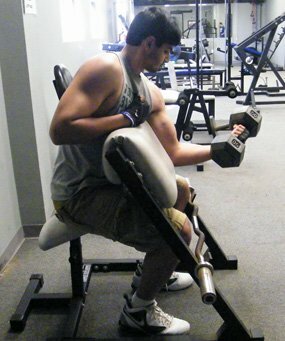 I have seen a plethora of people walk into the gym/weight room for a week and get discouraged after not seeing results. Muscles don't develop in one week! You have to put in time and effort, you have to push yourself to extremes that you believe you could never do. If you believe in yourself (as corny as it sounds) you will achieve and see results. Don't you dare let ANYONE get you down! I had a multitude of people constantly harassing and discouraging me but I kept my head up and my goals in my sights. Also DRINK WATER, especially if you're on supplements such as protein shakes; it helps with hydration and helps your kidneys filter your protein intake. I drink at least half a gallon of water each day.